Too many Israelis who do not possess the means to fund their basic daily survival needs. It is our duty to ensure that hungry people do not walk our streets. 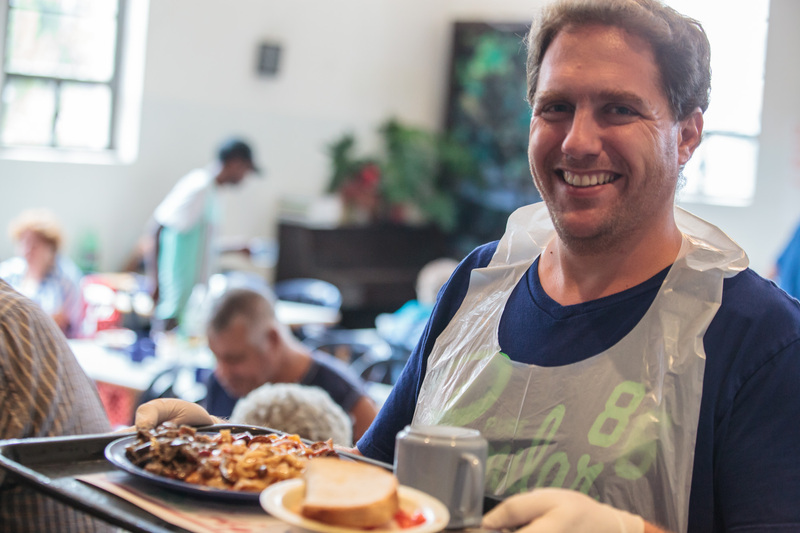 With that mission in mind, the Lasova foundation established in 1990 a restaurant dedicated to serving the needy in Tel Aviv. The restaurant is located in the main floor of "LASOVA HOUSE- Multi Services Center for Needy People" 18 Tchlenov St. nearby the troubled area near the Central Bus Depot, where thousands of needy people reside, many of whom are immigrants, unemployed, disabled, or elderly. In 2003, we established two more such restaurants, one in Acre and one in Carmiel. At Lasova restaurant, every customer receives a nutritious, filling, kosher hot meal, and may eat as much as he or she desires. We serve all people free of charge, with no questions asked, no criteria for admission, and no referrals or paperwork. Contrary to the somber and often humiliating image of soup-kitchens, any person can come to LaSova restaurant to dine in a respectable manner, while sitting at a clean, well-lit and spacious venue. 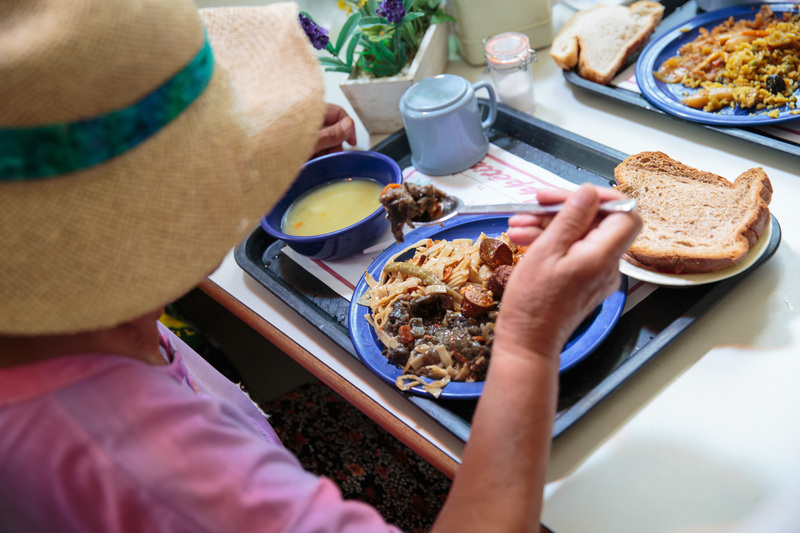 Lasova Organization feeds Apx 2,000 needy people every day at our various venues: soup-kitchens, shelters for the homeless, as well as 1,000 children and youth at 19 “Kadima” centers for kids and youth at high risk. In addition, we operate a free used-clothes distribution center near each one of our locations. Our 3 LaSova restaurants employ 6 people in full-time positions, and 5 part time employees. All other workers are either volunteers, or those sentenced by the court to community service. 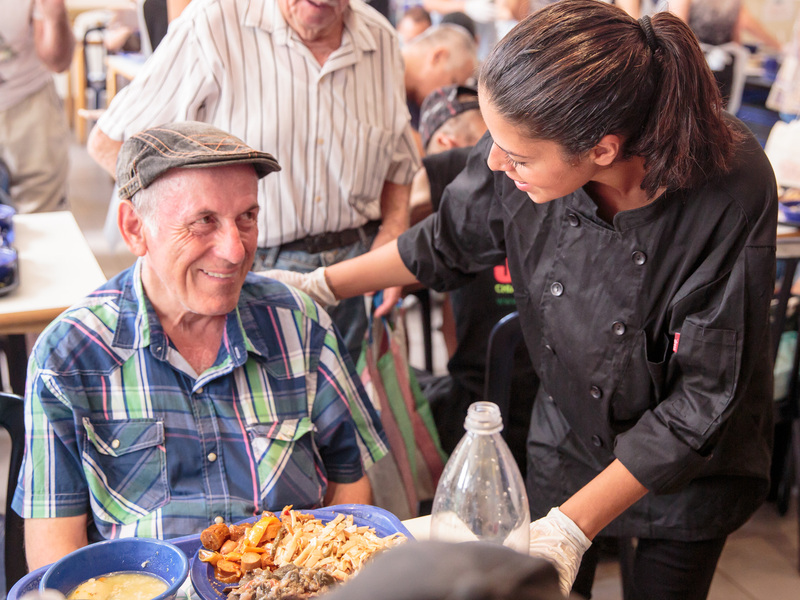 Most of the food served at our restaurants is donated by the IDF, food manufacturers, restaurants and other food-serving venues. We collect the food with our “City Harvest" vehicles. These vehicles are operated during the day by Lasova employees and during night hours by volunteers from the El-Al Retiree Organization, from the accounting office of PWC office in Israel, and from Bank Hapoalim. Funding for Lasova restaurants comes from thousands of donors: individual donors, companies, charity funds and estates, all of whom understand our important mission. We do not solicit or hold any fund-raising events. The Lasova restaurants are not supported by local or state government. The Foundation upholds all regulations and tax laws pertaining to foundations and non-profit organizations. Friday evening are held several times a month. Location: 18, Chlenov St, Tel Aviv. Location: 10, David Pinkas St, Akko. Sunday to Thursday: 9:00- 13:00.